Are you an experienced professional who want to shift to an ERP job? 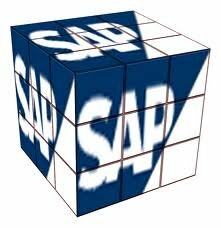 Are you a Management / Engineering student in the final year anticipating a SAP career from any IT Companies? Many times we seriously consider a SAP career but we don't know whom / where to approach in Coimbatore. Either we have to relocate to Chennai or Bangalore for the sake of learning and start the job search in SAP, which adds the performance pressure. Once you decide that you want to do a SAP course in Coimbatore, the investments between Rs. 2 lacs (e-learning) to Rs. 4 lacs (instructor lead full time) pose as entry barrier for any aspirants. If you want to learn SAP at your free time, you have to rely on the coaching from working professional with inadequate experience or some Hyderabad based online institutes where your luck plays an important role in getting a good trainer. Coimbatore is an opening up for SAP professionals with companies like CTS, Wipro, NTT Data had started the SAP projects, Bosch looking for in-house SAP consultants and there is a shortage of SAP professionals to cater the demand. Still there is no quality private SAP coaching / training services available. We are starting our services to the Coimbatore based aspirants through weekend instructor lead classes as well as regular online classes for students from any part of the world where you can learn SAP at your convenience. We have customised courses for SAP aspirants and students doing the e-Learning courses in SAP Authorised training centers. We provide online SAP access without affecting your existing hardware. We take you seriously because you are serious about your career. Please visit www.easylearnsap.com for more details.